Pumpkin plants produce sprawling vines that grow rounded fruits with edible flesh. 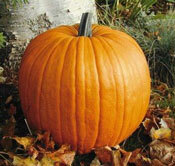 The official jack-o'-lantern pumpkin, they grow between 10 and 20 pounds with a bright orange color. Popular for Halloween decorating. 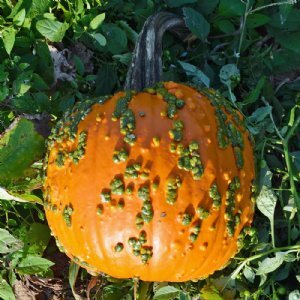 Produces small, bicolor pumpkins that are great for Halloween decorations. Perfect for Halloween! 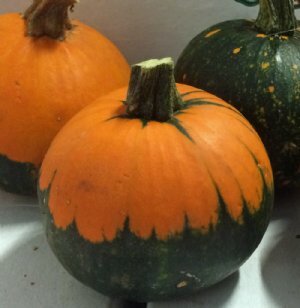 These bumpy gourds are perfect for carving and have strong handles. 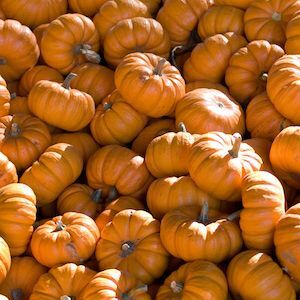 Adorable, itty-bitty pumpkins that are perfect for decoration throughout the fall. Fits in the palm of your hand!